Catherine Love explores the principles of ensemble theatre making, by observing the Birmingham Rep's Foundry company at work. From Stanislavsky to Secret Theatre, she looks at how actor-focused ensemble work helps create theatre that's built from communities. 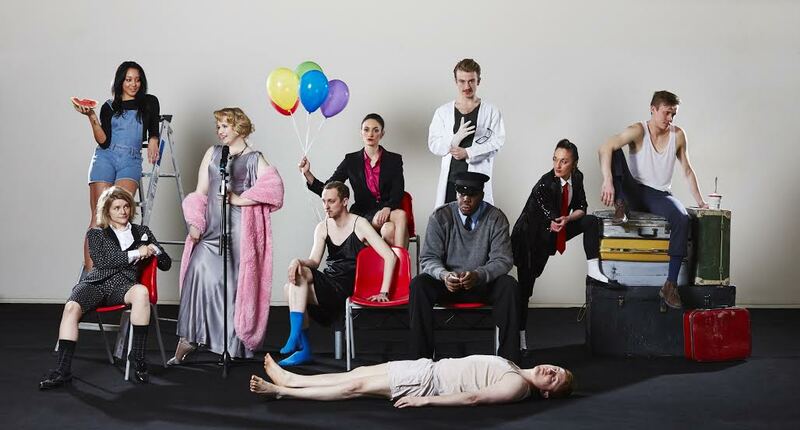 Ensemble company Secret Theatre, which performed at the Lyric Hammersmith in 2015. “I could watch them do this all day,” director Alexander Zeldin leans over to say to me. In a large, bright rehearsal room at Birmingham Rep, we are sat observing a group of young actors attempt an impossible task. The members of the Foundry actors’ group are walking an imaginary tightrope, concentrating fiercely on feeling the fictional rope beneath their feet and responding to the minute movements of their fellow performers. It’s all about establishing trust and sensitivity, forging an environment from which creativity can spring. Launched in October 2015, this strand of the Foundry programme was established to offer free training and support for local actors aged between 18 and 30. The project, run by Zeldin, has deliberately targeted performers who have relatively little experience and for whom drama school is not an affordable option. While this is an experiment in collaboration on a small scale, Zeldin – whose ultimate goal is to establish a permanent company of actors – is partly inspired by the principles of ensemble theatre-making. The question of what precisely ensemble is, though, is harder to answer. As Peter Brook put it, “We can all instantly feel what it isn’t. No one can say what it is.” In his book Encountering Ensemble, John Britton suggests a number of ways in which it is possible to understand the idea of ensemble: in terms of organisational structure, of a company’s longevity, of training principles, of a sense of common purpose and togetherness. Historically, Cornford tells me, there are two competing accounts of ensemble theatre. One comes from Stanislavsky, arriving in the UK about a century ago via Harley Granville-Barker, and is centred on the actor. The other, which was introduced into British theatre by Komisarjevsky at around the same time, is more focused on the visionary director or auteur who, in Cornford’s words, “brings everyone together and makes everyone more creative in a way that they weren’t under normal, conventional rehearsal room circumstances”. It’s easy to see the influence of these two contrasting yet related approaches in twenty-first-century British theatre. Theatre-makers in the UK – and particularly those from younger generations – are often in thrall to directors whose work is acclaimed across Europe and who are typically described as auteurs: Thomas Ostermeier, Ivo van Hove, Katie Mitchell. The spirit of the actor-focused ensemble, meanwhile, can be seen in recent collaborative endeavours such as Secret Theatre or Michael Boyd’s attempt to install an “ensemble way of working” during his time at the helm of the Royal Shakespeare Company. Zeldin admits, despite his long-term ambitions, that “ensemble is a very big word for what we have here”. The ensemble, though, is crucial to Zeldin’s approach to theatre-making – in theory, if not quite in practice. His eventual dream is to work with one group of actors for an extended period of years, perhaps even decades. For now, though, ensemble principles structure his work as a director within the constraints of more limited artistic processes, be that in Beyond Caring (on which he worked with a group of actors over an extended period), the Foundry actors’ group or Love, his new show for the National Theatre and Birmingham Rep. At the core of Zeldin’s methodology is a series of questions. There can, however, be a tendency to mythologise and mysticise the idea of ensemble. Cornford offers the example of Boyd, who claimed that his ensemble at the RSC had a “deep voodoo”. To quote Cornford, “what the hell is that?” Yes, groups of theatre-makers who work with one another over extended periods undoubtedly form deeper connections than those who are together for a limited rehearsal period, but when does that become a genuine ensemble? Another source for ideas of ensemble, which forms the subject of Cornford’s current research, is the studio, which sits somewhere between drama schools and producing theatres. Cornford elaborates: “It’s not primarily dedicated to training people and giving them a certificate and putting them out in the world, it isn’t primarily dedicated to producing plays, it’s primarily dedicated to producing a company of people who will go on to produce work.” The examples he’s looking at include Michael Chekhov’s work at Dartington, Michel Saint Denis at London Theatre Studio and the Old Vic, the RSC in the mid-1960s, and Joan Littlewood with Theatre Workshop. One final and much more recent example that Cornford is exploring is Secret Theatre. Launching the project, the Lyric’s artistic director Sean Holmes described it as “an attempt to create a new structure that might lead to a new type of work”, yet he also acknowledged “the example of the European ensemble” as a key inspiration. Deliberately – and here lies the connection with the studio – the ten actors in the company were all young, creating an ethos that was as much about training, development and experimentation as about artistic creation. What eventually emerges in the Birmingham Rep’s rehearsal room is a delicate yet oddly absorbing environment. During one characteristically simple scene, I find myself completely sucked in and surrounded by the funeral scenario that the performers are unfussily playing out. It’s natural, unaffected, ordinary. Zeldin explains to me that there was no material at the start of this process other than the people in the room; everything they have created has been created together from their own impulses and experiences. “That’s something that for me is really crucial,” he says, “that everything I’m doing is always emerging from who the people are, what they carry.” As one of the participants succinctly puts it, “we take our stories and make them into stories that are not our own”. The current experiment at Birmingham Rep is also part of a wider question about, in Zeldin’s words, “how the theatre sits inside a community”. Throughout all the work that the theatre does through its Foundry programme, artistic director Roxana Silbert is interested in how the venue connects with local artists and residents. It comes back to that simple idea of ensemble as togetherness. Perhaps, as Zeldin suggests, “the ensemble is always at the heart of everything that theatre is”. For more information about Birmingham Rep’s Foundry programme, visit the theatre’s website.